At the Fence: Ready to Bike! With the gorgeous weather we have been having, my mind starts to go to outside activities like walking, volleyball and biking! 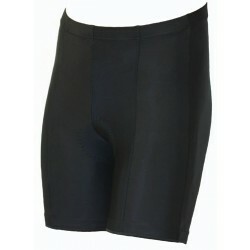 I recently received a cycling jersey and a pair of six panel bicycling shorts from the eCycling Store. They carry just about everything you need for cycling. Now, most of you know the females in our family always wear skirts or dresses (jumpers), so we wear the shorts underneath our skirt. My daughter loves these! We received the eCycle Womens, 6 panel, bicycle short. Be sure to look at the pictures below. They have a built in pad in the seat, that makes them so comfortable. There is also elastic in the leg band. They feel great on. Regular price is $39.99, but they are on special right now for $17.99. Made out of 5.2oz Nylon Lycra Fabric. 1" Elastic waist. Gripper Elastic cuffs for a great fit. One piece entry level inner pad. 6.5" inseam. Made in the USA. Womens specific fit. The other item I received was the World Jerseys Bella Fiori Women's Bicycling Jersey. I will state here, that I ordered a large, and my 11 year old is wearing it. Now, realize, that we do not wear clothing tight to the body, so this may not be a problem in sizing for you. It has quickly beocme one of her favorite tops to wear for any exercise. She even likes to wear it just casually. The beautiful pink color and design might help a little with that too! The back of the shirt has two pockets with elastic at the top so you can carry small items and not loose them. This is available through eCycling Store for $54.99. 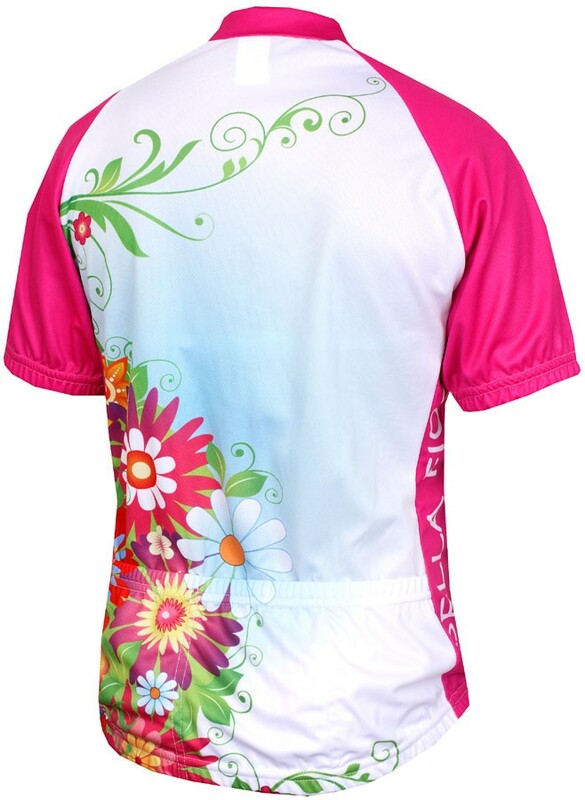 This Womens Cycling jersey is made out of 100% Polyester DrySport wicking fabric keeps you dry and cool on those hot days. 15" hidden zipper. Elastic waist and cuffs. Three rear pockets for storage. Womens specific fit. These would make great gifts for the cyclist in your family. Whether A bicycling enthusiast or just a casual cyclist, eCycling Store has something they would enjoy. Be sure to add them to your shopping list. Take a minute and "like" their Facebook page and 'follow" them on Twitter. Disclosure:I received no monetary compensation for this post. I did receive a Cycling Shirt and Shorts for review purposes. All quotes in red are taken from the sponsor's website. All thoughts and opinions are my own. My 10 year old granddaughter enjoys biking. I know she would love these. Good Christmas idea!